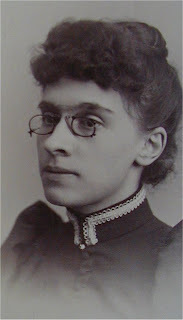 Is this Julia Roberts ancestor? I found this photo at an antique shop up in Wisconsin a few years back. The woman in the photo looks strangely like Julia Roberts in costume playing a woman from the 19th century. The resemblance is incredible to me. Now, just for fun, I try to search for photos of ‘instant ancestors’ that resemble celebrities. This one is a good start to my collection! Next postEver Get Kissed by a Cat? I love NY too. I would love to get back there this summer. So much to see and do.